"Freedom Rising," a three-day conference in Boston and Cambridge, marked the 150th anniversary of the Emancipation Proclamation and celebrated African-American service in the Civil War. During a Harvard symposium on May 3, Professor John Stauffer (at podium) anchored a panel on the art and music of emancipation. But for a century afterward, the proclamation also represented a historical irony: Until the 1960s, arguably, generations of American blacks were re-enslaved socially and economically by a recalcitrant South and a forgetful North. Among the sponsors of “Freedom Rising” were Harvard’s W.E.B. Du Bois Institute, the Charles Hamilton Houston Institute for Race and Justice at Harvard Law School, and the National Park Service’s Boston African American National Historic Site. Stars in the firmament of Civil War scholarship were drawn to the event. Eric Foner, a Pulitzer Prize-winning historian from Columbia University, delivered “Lincoln, Emancipation, and African-American Soldiers,” the May 2 keynote address, at the Museum of African American History on Joy Street in Boston. The African Meeting House there, built in 1806, was the site of the founding of the New England Anti-Slavery Society in 1832. By 1863, it was also the main recruiting site for the storied 54th Regiment Massachusetts Volunteer Infantry, which was among the first black units assembled during the Civil War. The symposium filled the Radcliffe Gymnasium nearly to capacity. Its points of focus: the impact of Lincoln’s proclamation on the rest of the world (dramatic) and the recruitment of black soldiers during the war (triumphal and — given the collapse of Reconstruction — poignant). On the conference’s final day, actor Danny Glover participated in a pageant that was part of “Roots of Liberty: The Haitian Revolution and the American Civil War.” The setting was the Tremont Temple Baptist Church, where the proclamation was first read in Boston. 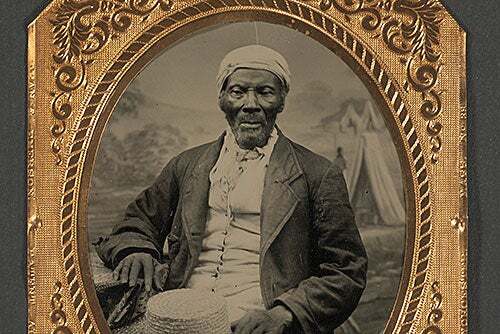 The spirit of the conference will live on in an exhibit, “Boston’s Crusade Against Slavery,” at Houghton Library through Aug. 23. It is the work of students in a two-semester course on Boston and emancipation, taught by John Stauffer, chair of the History of American Civilization Program. Stauffer anchored a conference panel on the art and music of emancipation. Karen C.C. 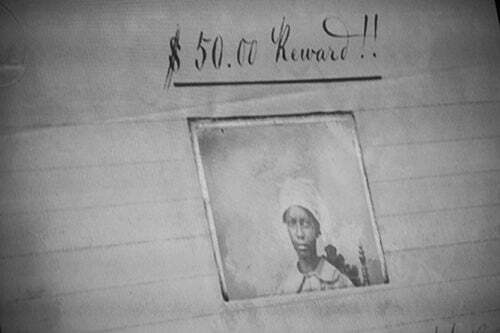 Dalton, editor of the Image of the Black in Western Art Research Project and Photo Archive at the Du Bois Institute, looked at three works that expressed the arc of the document itself, from hope for freed slaves, to despair, and back to hope again. A sentimental magazine illustration from 1863 showed the history of slavery. Its violent past ends with the centrality of a happy black household. By 1868, as shown in an illustration by Thomas Nast, a black soldier rests atop a monument, but behind him is a backdrop of violence; by then, Reconstruction was crumbling. Then she showed an 1872 statute of a muscular and triumphant freed slave. It was made in Europe, where the joy of the proclamation still appealed to audiences. But in America by 1873, when the statue was displayed in Philadelphia, the triumphant freed man no longer embodied an appealing sentiment, said Dalton. The relief was radical in its day. It conveyed African-Americans as dignified, soldierly, and strong, in an era when representations of black Americans were starting to sink into the morass of minstrel-show blackface. Powell called the sculpture a “nondenominational American altar piece” that compressed into one work the “alchemy of moral imperative” in American race relations that had gone suddenly absent by 1897. New York University’s Deborah Willis guided the audience through photography that represented blacks in time — and how such images, in the end, gave them a means to “self-emancipation” through dignified portrayals. 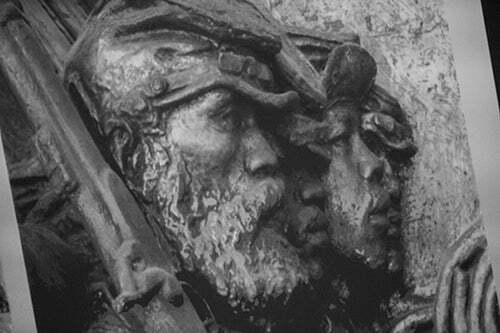 A detail from a bronze relief sculpture in the Boston Common that celebrates the 54th Massachusetts Volunteer Infantry. The relief was radical in its day because it conveyed African-Americans as dignified, soldierly, and strong. In this year’s Tanner Lectures, Yale Law School Dean Robert C. Post suggested common constitutional ground for both sides in the campaign finance reform debate.